I don't remember ever making the decision to be a potter. I like to think that in came in a natural flow, where one minute I'm struggling to center the clay and the next I'm challenging myself to make a form that is new, complex, and exciting... with all the other experiences blending somewhere in between. I came to Floyd, Virginia to start an apprenticeship with Silvie Ganatelli after graduating from Tyler School of Art and completing a year long residency at the Cub Creek Foundation. I consider these moves as part of my flow, the next step not calculated until well into the previous. Opportunities have presented themselves much like ideas for new pots have presented themselves; a realization that a particular thing can be achieved if I only do "this." And now I see that this river I am flowing down has many different turns I could take. And I am currently looking down each of these paths and making decisions about the benefits of each. One decision I have recently made and been very happy with was the decision to stay in Floyd and set up a home studio. 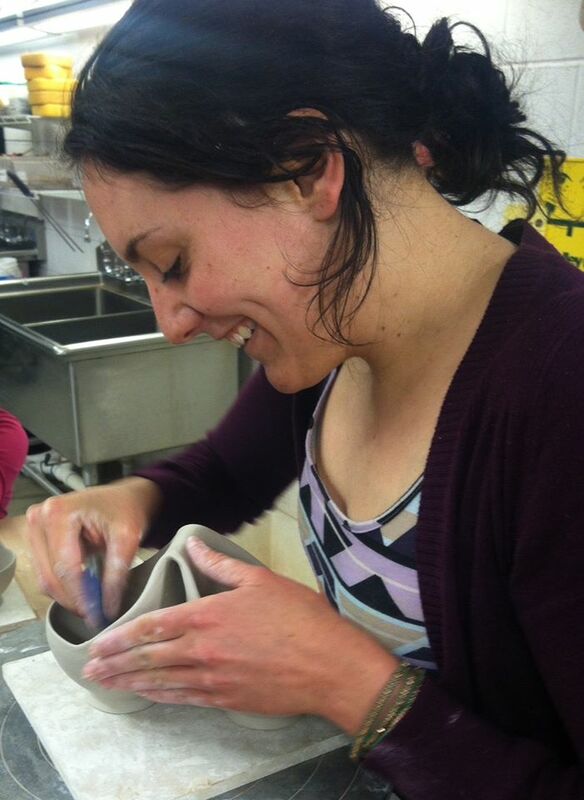 I am glad to be here and making functional pottery that allows other to experience my journey. I like to think that this journey is reflected in each pot I make.